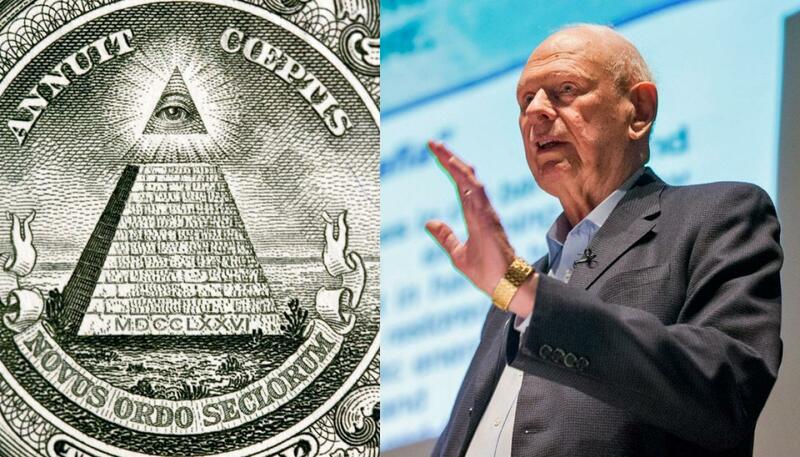 According to Hellyer, many members of the Illuminati have stakes in how well the oil industry performs financially. ‘You have a got secret cabal that’s actually running the world and they’ve managed to keep this technology under wraps until they can cash in the trillions of oil assets that they’ve got,’ Hellyer said. Hellyer is known for making some rather outrageous claims – in the past, he’s said the United States intervened to take over an alien crash site in the Canadian province of Manitoba. These aliens are the source of the anti-climate change technology, claims Hellyer. He also says in the podcast that in the eyes of these alien life forms, humans are primitive life forms, and that these aliens could help humans in times of need in the future.